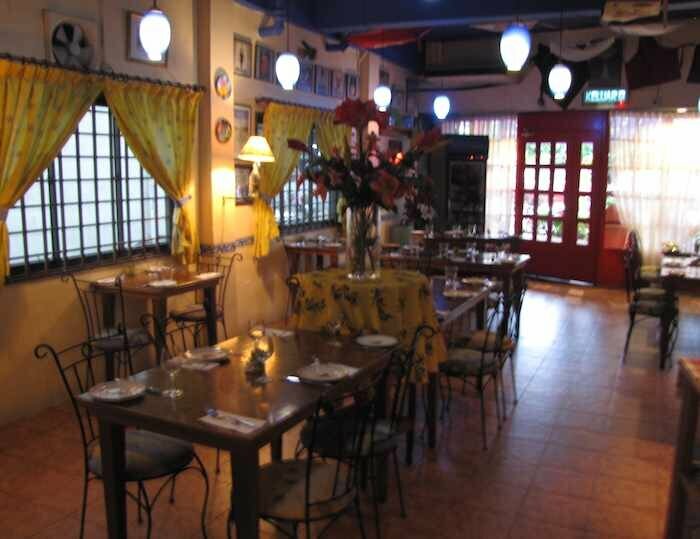 Sweetwater Mediterranean Restaurant is another excellent restaurant in Taman Pelangi, Johor Bahru. The food is excellent as are the furnishings. It is a bit expensive but worth it if you are looking to splurge. 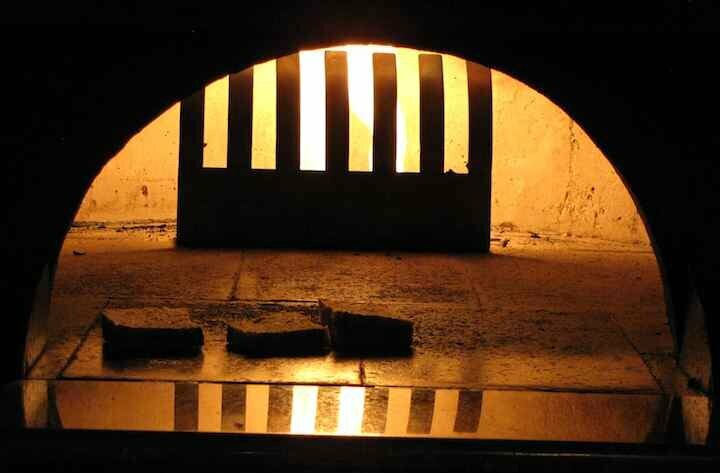 Even the bread is worthy of mention, it is excellent and warmed in this stone oven before serving. The fixed price lunches are a great way to experience this wonderful restaurant for a very reasonable price (around 40 MYR, about US$13). They come with wonderful bread, a salad, entree, tea, and desert. Chakra Indian Restaurant is located in Johor Bahru’s CBD. 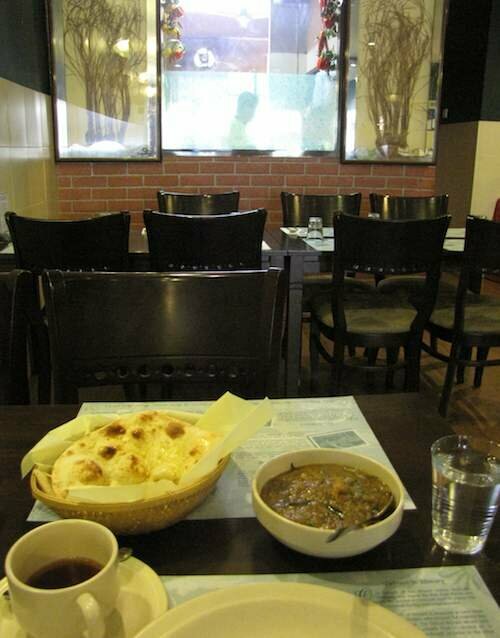 It is a wonderful Indian restaurant with a wide variety of Northern and Southern Indian food. I have eaten there several times and the quality of the food has been excellent every time. 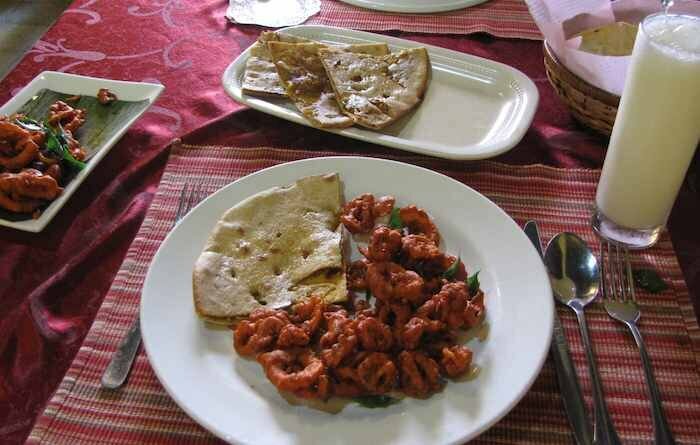 Indian bread is one of my favorite foods and good bread is one thing a good Indian restaurant must have. Chakra delights on this score. Every dish I have had has been excellent, including the fried squid shown above. 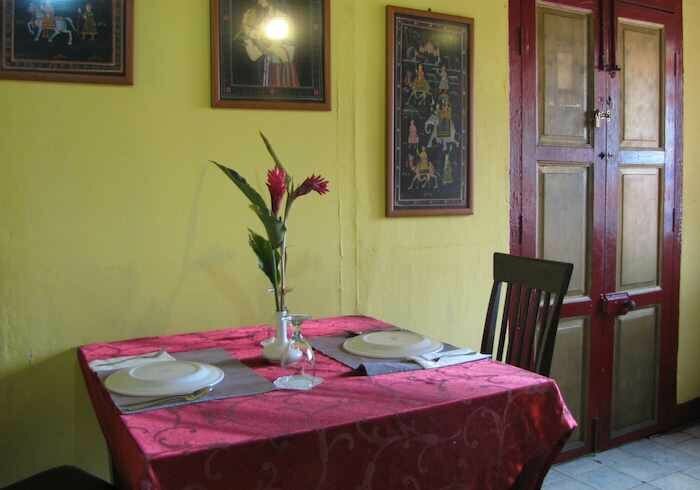 The setting of the restaurant is quite nice, with several small dining rooms (old rooms in a house). It is located a bit away from anything (just houses nearby). And the restaurant itself has a nice look and is a nice place for a good meal. There are plenty of dishes that are quite inexpensive and there are also dishes that are quite pricy. It is actually an odd combination, normally places that cater to the higher spending customers don’t offer cheap main dishes. I was wondering if cheaper dishes (some simpler quite quite good vegetarian dishes) would in fact be very small appetizer sized dishes but they were not. 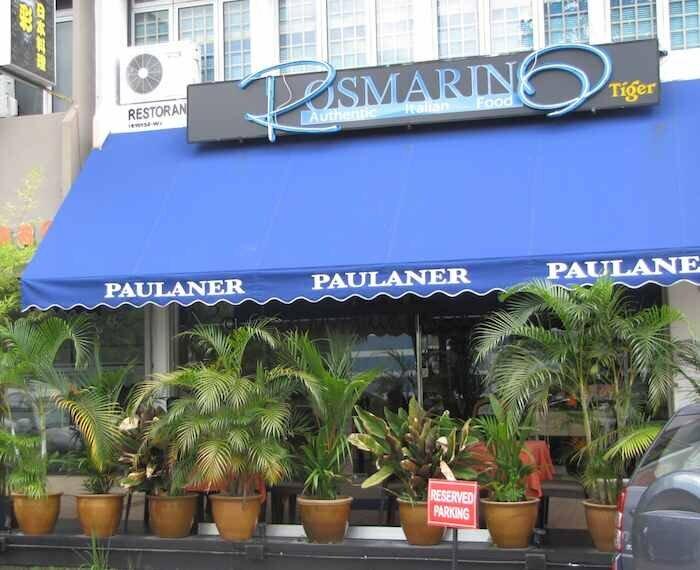 Rosmarino Italian restaurant is another very good Restaurant in downtown Johor Bahru. It is located a block from Plaza Pelangi. Expats will enjoy a taste of home and others can get a nice example of Italian cooking. The food I have had has been excellent. The restaurant is nicely appointed and has a outdoor seating (though I don’t really see it as a great location – they do have plants but still you are just on the sidewalk facing the parking lot). 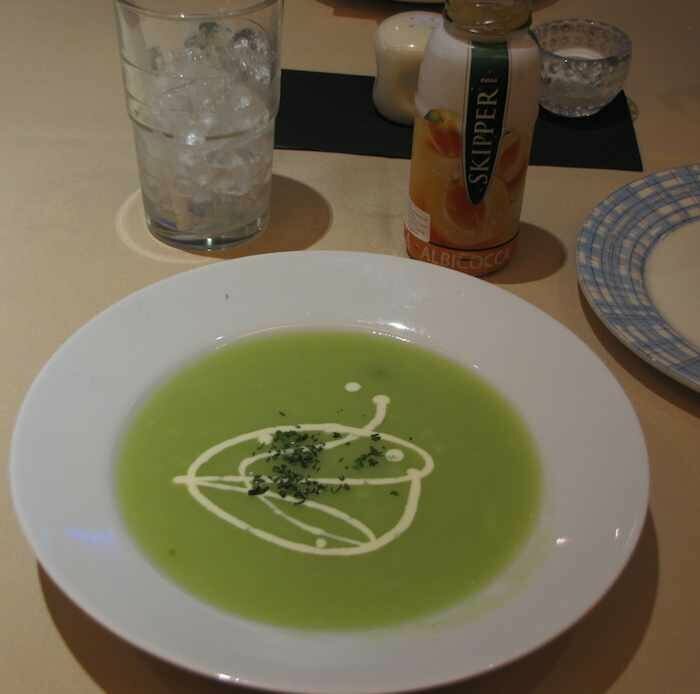 Pea soup (very good). You can also see the apricot juice, which I like, though it is RM 9 for a small bottle, which is expensive. The set price lunches are really one of the great bargains I have found so far. For just RM 15 you get a nice soup and an entree. The food is excellent and I have been 3 times and enjoyed new dishes each time. The regular prices are quite steep, especially for Johor Bahru. It seems like RM 50 for a dinner would be on the cheap side and easily it could run RM 100 for a drink and meal. I highly recommend the lunch deals. And for those with plenty of money the dinners (or just ordering off the normal menu at lunch) I am sure would be excellent. The service I would say is good even very good. Still it isn’t quite as warm or somehow seems something is not quite there for the best fine dining. Overall, I like it and think it provides another great option for fine dining in Johor Bahru. Steak with salad and mashed potatoes set lunch (along with the soup above). The food was very good, as it has been every time I visited. All photos by John Hunter. 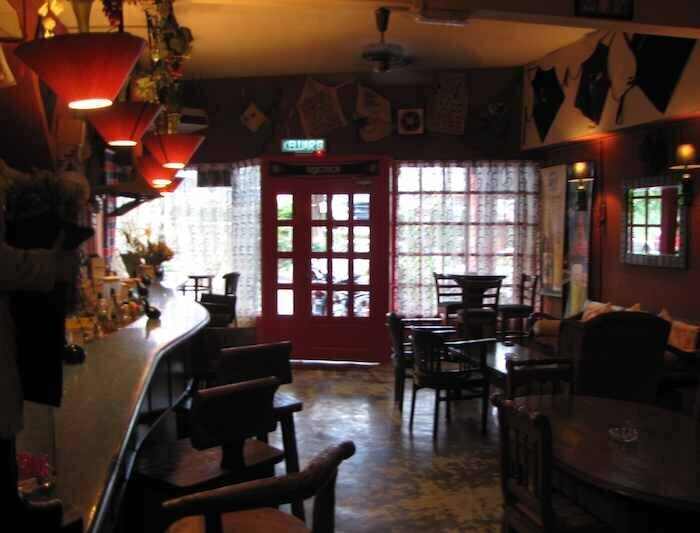 Chez Papa is an institution in downtown Johor Bahru. 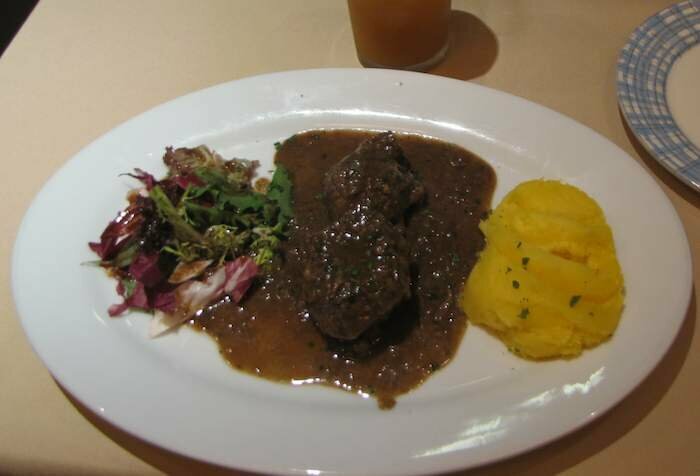 The French restaurant is an expat favorite and attracts many from Singapore as it is a quick trip over the causeway for fine food at a great price. 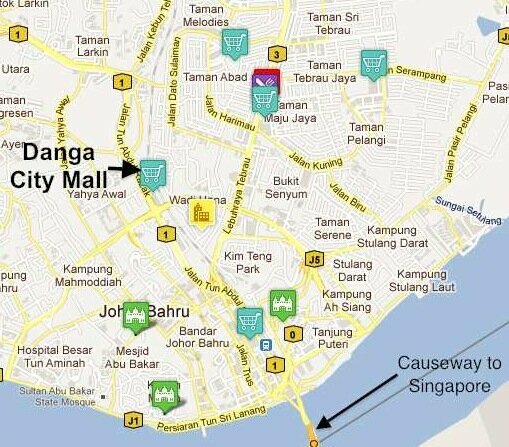 The downtown location (near Plaza Pelangi) is very convenient to those living in JB town, as well as visitors from Singapore. As you enter the restaurant your step into an oasis of calm and feel you have entered a small restaurant in rural france. The service is also remisent of rural France (rather than the brusk service found in Paris). Though the stereotype of difficult service in France, is quite overblow, in my opinion. 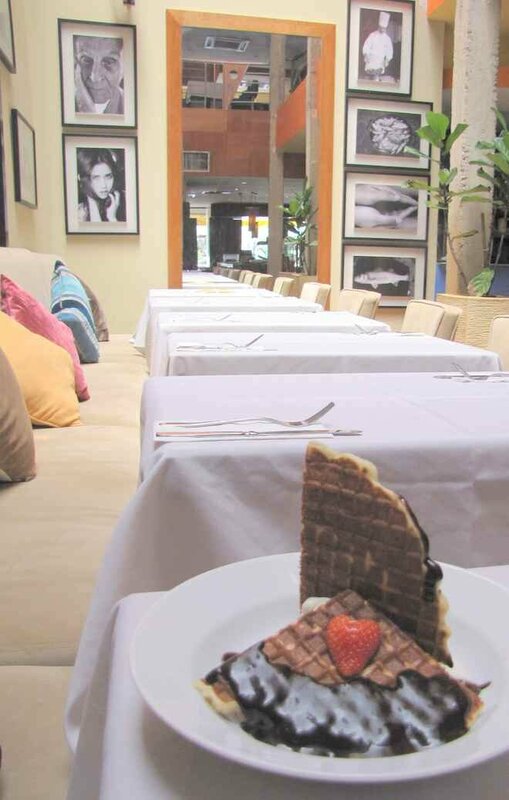 Chez Papa French Bistro is an excellent fine dining restaurant and a great bargin when compared to other fine dining options. 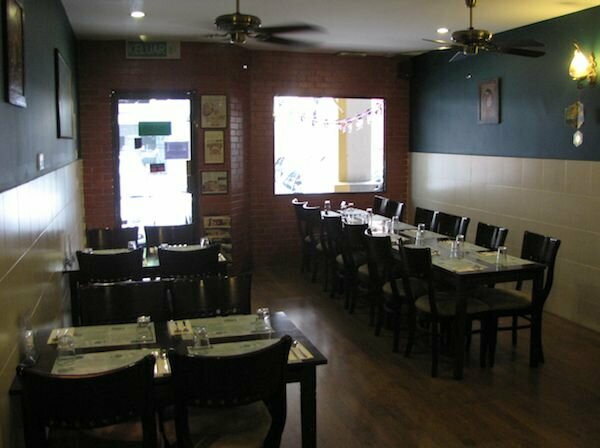 It has a cozy, warm atmosphere which provides a nice respite from the bustle of daily life. The menu at Chez Papa offers plenty of options to chose from. I have twice ordred the Salade Nicoise which was excellent each time. I am not someone that orders salads normally. But, I have noticed, one of the things that the best restaurants offer is great salads. They use great ingredients and know the importance of doing the relatively simple things well. A good salad is often an indication of a well run kitchen. 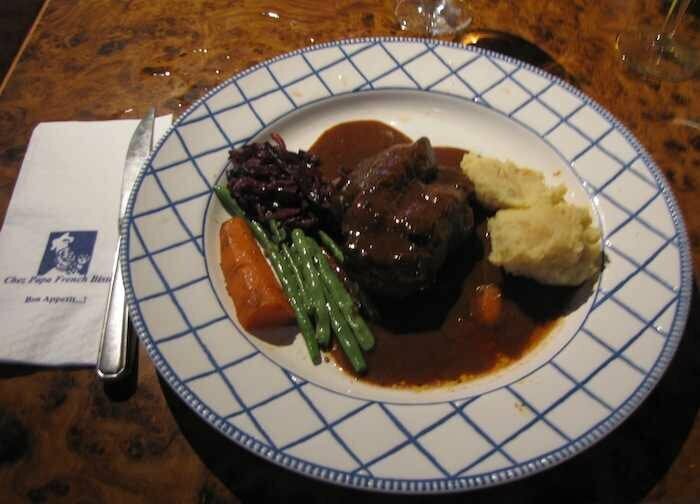 On my first visit, my main course, the Lamb Stew, was excellent. It was hot and scrumptious with large pieces of lamb and vegetables that we just right (not overcooked, which is so easy to do) and just the right amount of seasoning. It was also huge: I could finish it. The other time I ordered the salad I couldn’t finish the mean either as it was too much. I can’t remember what it was, but I remember it was great. The photo, above, shows my 3rd meal, steak, which again was excellent.